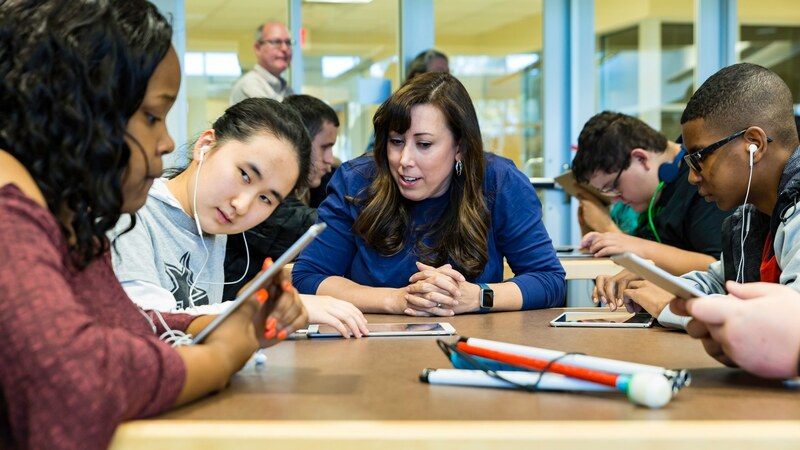 This is the sixth year that Apple has participated in the Hour of Code. 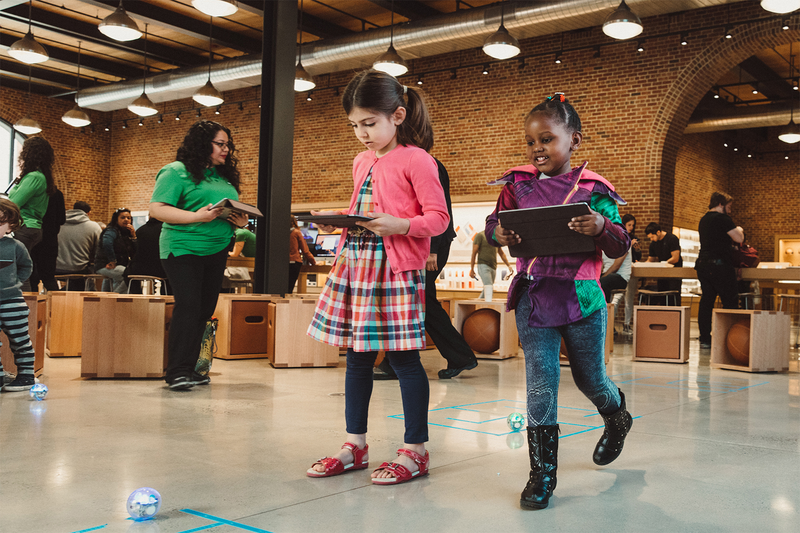 Participants from 6 - 12 years old will learn to code with robots, while kids 12 and up will use Swift Playgrounds and the iPad. The Hour of Code is just a small part of Apple’s Everyone Can Code initiative, which has dramatically expanded in recent years. The program now reaches children from their earliest years in school through college graduates. My kids have participated in past Hour of Code sessions and had a great experience. They are an excellent introduction to coding for any kid who is curious about programming. I suggest signing up soon if you’re interested though because in past years, the sessions, which should go live soon, have filled quickly. 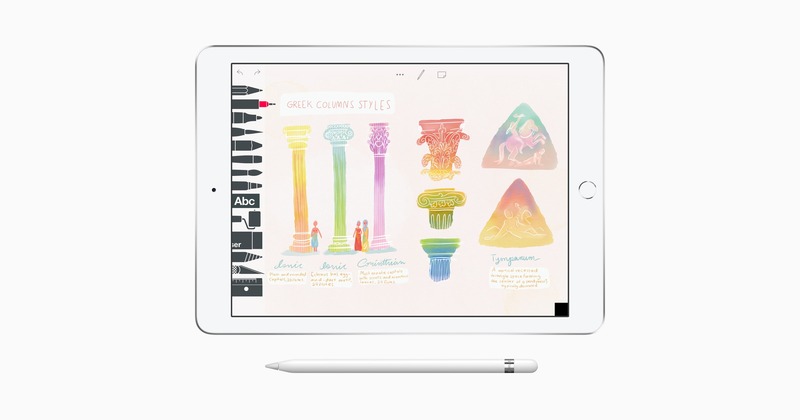 Now, students can tap into the power of iPad to build historic monuments, swim through coral reefs with the Update Aquatic, bring creative stories to life, experiment with chemistry, and document their learning with the camera and portfolio features. The latest expansion of Minecraft: Education Edition adds to the existing 35 million teachers and students in 115 countries that were already using the app on other platforms. The program includes training and curriculum resources for teachers too. Minecraft is being offered as part of Microsoft’s 365 for Education program and will be available on the iPad beginning in September. With three children, I’ve looked at many products over the years that are designed to make learning to code fun and engaging for kids. Of all the things I’ve tried, one of my favorites is a build-your-own computer kit from Kano. The kit is a kid-friendly Raspberry Pi with tiny, bright orange wireless keyboard. 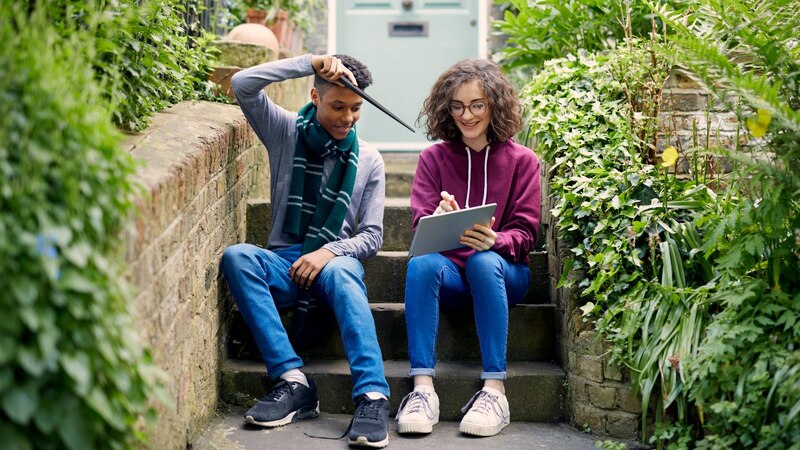 My kids are a little old for the Kano wand now, but I know that if it were available back when they were tearing through the Harry Potter series, the wand would have probably turned up at my house over the holidays. 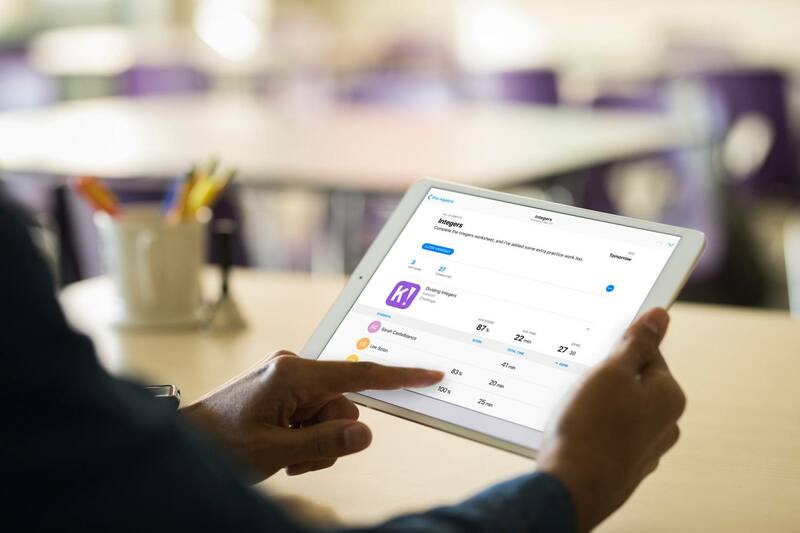 At an education-focused event held in Chicago this past March, Apple previewed an app called Schoolwork for teachers and students, which the company released today. 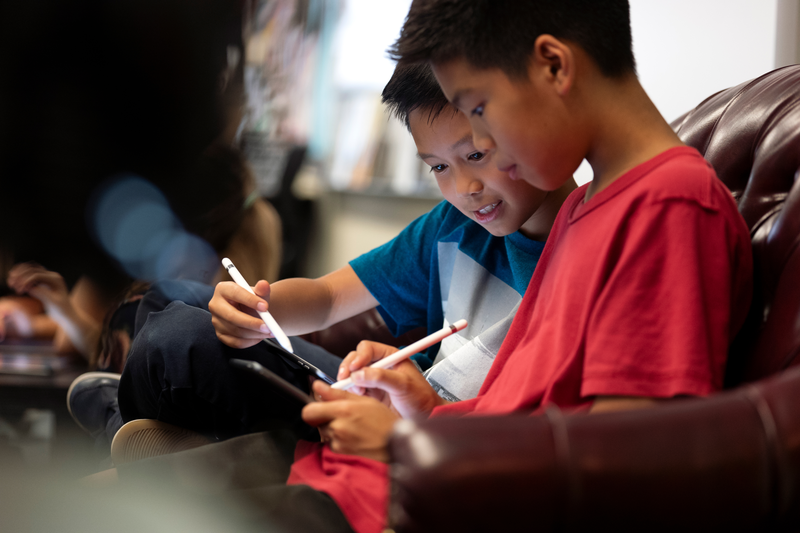 Schoolwork and the apps supporting it give teachers new insight into how their students are performing, helping them tailor their teaching to the needs and potential of each student. Teachers have a snapshot of class performance and can check on an individual student’s progress across activities — progress within apps or projects they’ve created. 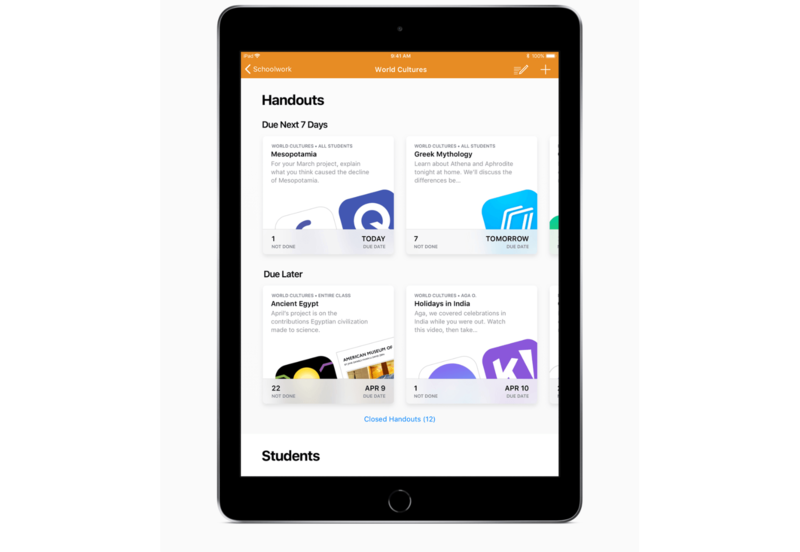 Students can use the app to access assignments, track their progress, and access materials from their teachers. Schoolwork helps students track their assignments. Schoolwork looks like an good way to streamline the process of distributing and tracking assignments between teachers and students. However, some of the most compelling features of Schoolwork require apps to support it. Apple says apps like Explain Everything, Tynker, GeoGebra and Kahoot! already support Schoolwork, and hopefully, others will follow suit. Schoolwork should be available to teachers on the App Store soon. In the meantime, you can learn more about the app on Apple’s Education page. I hope that increasing free storage for education is the first step towards more free iCloud for everyone this year. I wouldn't expect non-education customers to get 200 GB for free, but the measly 5 GB of free storage have become just as user-hostile as 16 GB iPhones used to be. There has to be a better solution in between. Everyone Can Code is a curriculum that Apple created to teach students the Swift programming language. Much of the information shared about the curriculum by Apple at its education event in Chicago today wasn’t new. However, the company did announce a new ARKit module that will be available inside Apple’s Swift Playgrounds app. Everyone Can Create is a new, free curriculum that makes it fun and easy for teachers to integrate drawing, music, filmmaking or photography into their existing lesson plans for any subject. 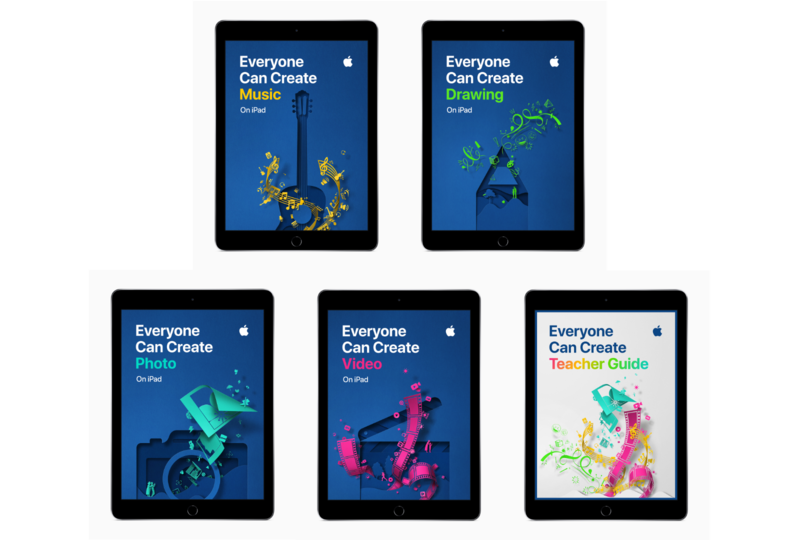 The new curriculum joins Apple’s successful Everyone Can Code initiative as one-of-a-kind programs for teachers that keep students excited and engaged. Available now as a preview, new materials will continue to be added throughout the summer so teachers can use them beginning this fall. In addition, Apple Stores will provide training as part of their Today at Apple programs beginning later this spring. Although the new curriculum shares a similar name with Everyone Can Code, Everyone Can Create’s approach is quite different. 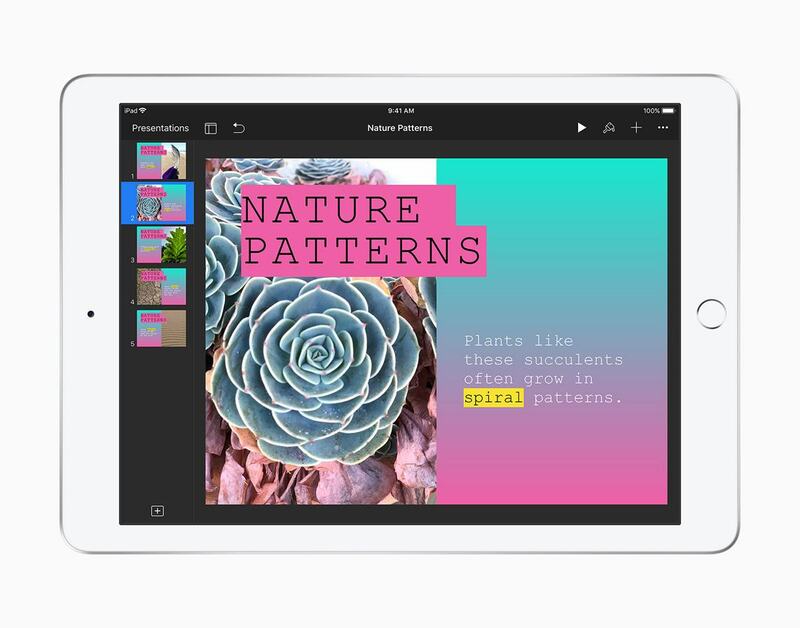 It’s designed to fit with existing subjects taught in schools, supplementing teachers' lessons in new and interesting ways that leverage the power of the iPad. You can follow all of our Chicago education event coverage through our March 27th event hub, or subscribe to the dedicated March 27th event RSS feed.